Aren’t FAST projects the best? Oh wait, fast PRETTY projects are even better! 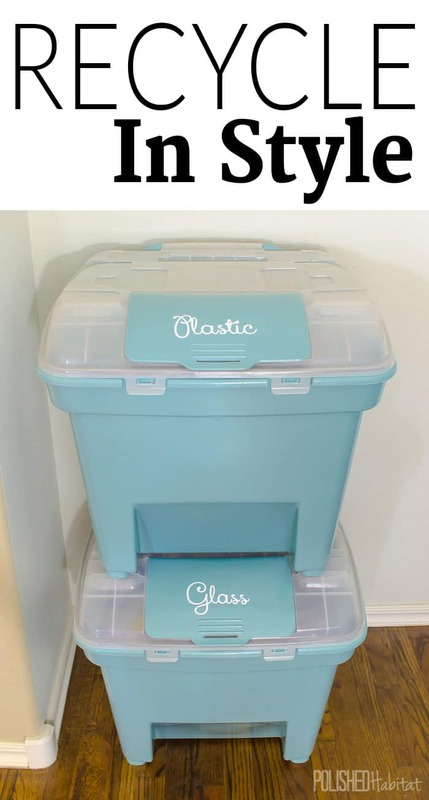 So many recycling containers are just plain ugly. We don’t have curbside recycling, so it takes some extra effort to collect materials and take them to the recycling center. I knew that if I REALLY wanted to make that happen, the process needed to be as convenient as possible. Sadly, I was pretty sure that if we went with bins in the garage, we’d never remember to actually put things in them. We also needed containers that were large enough that we weren’t having to empty them every week, and small enough that they’d be easy to transport. containers were made for pet food (and would be great for that), but I couldn’t have designed a better recycling container. 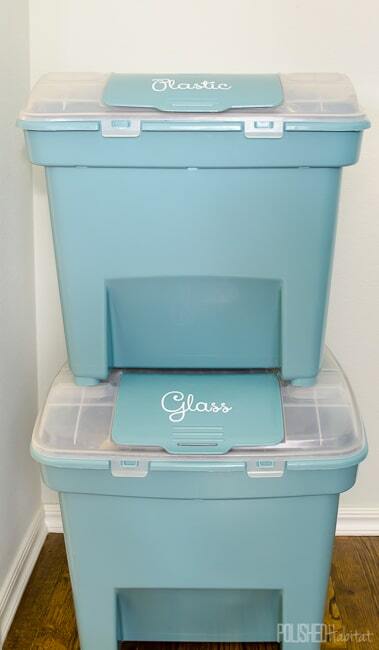 They stack nicely and have an easy access flap lid on top that fits almost everything we recycle. The entire top is also removable for easy emptying or oversized items. They are SO much cuter than any other pet food or recycling container I’ve ever seen. ), you can make your own labels with permanent vinyl, or I added my exact labels to the Etsy shop this weekend. 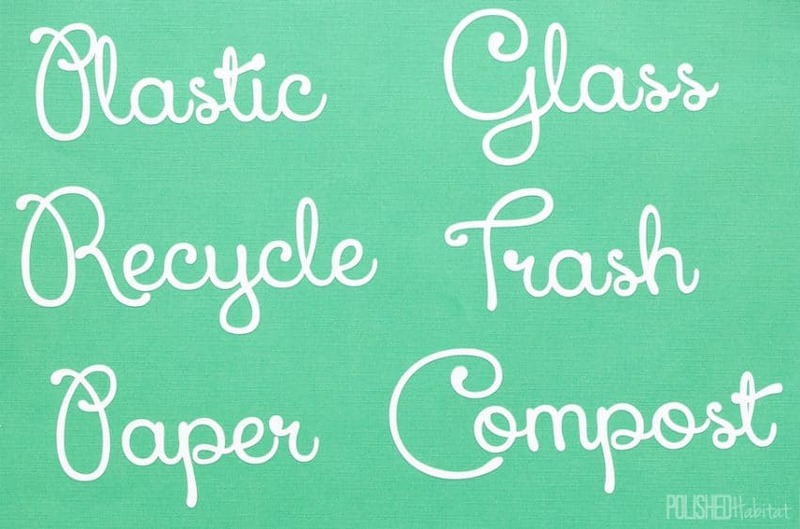 I’m loving that the vinyl labels give the bins more of a finished look. Seriously, fastest organizing project ever! Which was great, because I’m spending most of my time in the master closet these days! This is such a cute idea! Very creative.